If you are following my Instagram account, you already know last week, before my parents came to visit, I tried J°pour pure program – a 3 days cleansing plan in a box from J°pour, a new local brand that opened a cozy bar in Kirchberg – just next to Mamma Bianca restaurant – that proposes cold-pressed juices, superfood smoothies, bowls, chia puddings, kale and superfood salads, organic coffee and tea, gluten-free muffins, power balls, avocado toasts and much more. I was really interested to try a cleansing program as it happens, above all after periods when I have a lot of meals out, to feel in the needs of restarting my body. I tend to eat pretty clean when I am at home (not often, but still), but sometimes I am too lazy to prepare smoothies or to keep up with the good quantities – I end up having half cucumber, half pack of kale, a dry lemon, rotten strawberry and much more in the fridge for ages… Other detox programs I tried in the past did not convince me very much – as not very natural and forcing my body too much. After having a chat with Alessandra, J°pour brand manager, I was really curious to try their products, as juices in their boxes are cold-pressed and products are mainly coming from a local farmer near Trier. 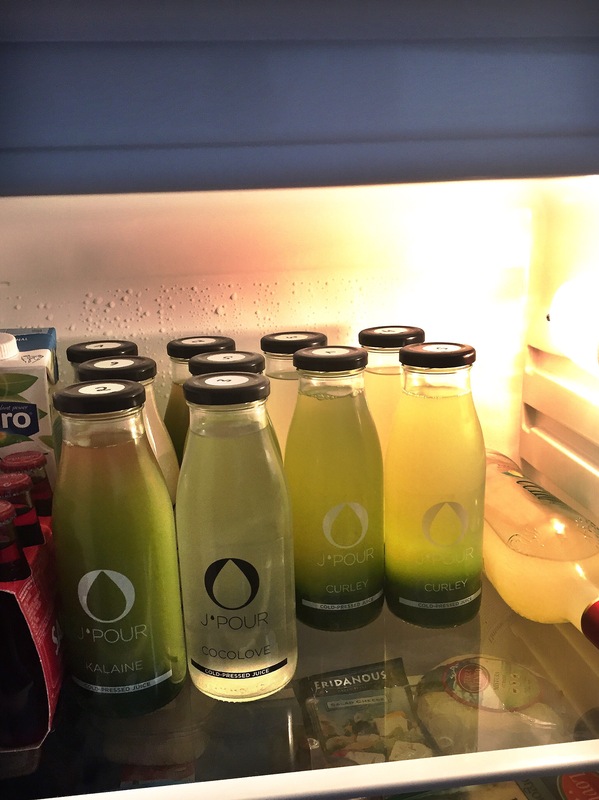 J°pour juices are prepared on Monday, Wednesday and Friday, so I planned my pick-up for last Wednesday – but you can have them delivered at your place or office, if you prefer. The program basically substitutes for 1 to max 5 days your daily meals with the cold-pressed juices. 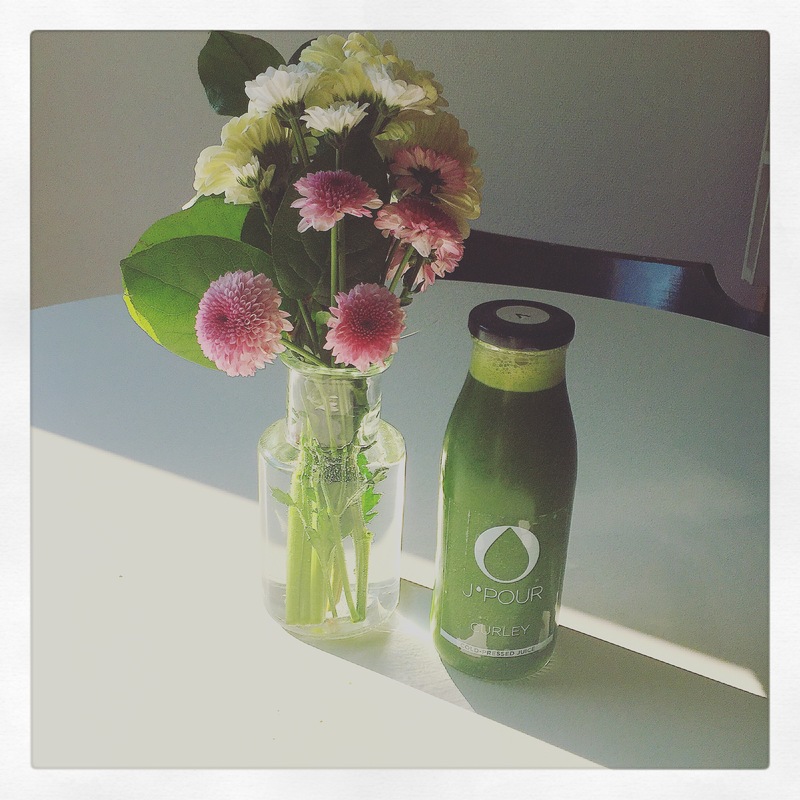 You have 6 cold-pressed juices to drink each 2 – 3 hours. You should respect the order of juices in the plan – really easy to do as you have numbers on the bottles – and conclude always with the protein one. When I woke up the second day, I was glad to have stick to the program. I felt my belly empty and flat but at the same time my skin was soft and glowing. Second day was easy and straight-forward: I had one juice every two hours and half circa and even if at lunch time I went to supermarket to have some grocery shopping, I did not feel the urge of putting in the trolley something greasy to eat in the car – yes, I know, I am usually really bad at it. At the end of the day, I was feeling a bit tired and I went to bed earlier than usual after having had my last juice, but I was not hungry all. Third day I woke up really energized – my body was feeling lean and I could fit perfectly jeans I normally avoided. I had great skin and hair and I was not feeling like eating at all. I had to cook for a friends’ dinner and while normally I tend to try the food, I totally avoided it. During the afternoon I did several tasks at home, went again to the supermarket, ironed and I totally forgot two of my six juices. My stomach was still feeling empty from the previous one and I was full of energies. When I had the fourth juice of the day, while the first day I was swallowing it like last bottle of water in the desert, I enjoyed it slowly and I took almost half an hour to get to the end.. I have to admit I am super happy about the program and its results. I felt I lost the bloating and my body was feeling renewed. Compared to other detox programs I tried in the past that requested an extra care in the skin and hair, as making them dull and super dry, J°pour pure program improved also my skin condition – I have very dry and sensitive skin – and after three days I was feeling glowing. The only hard day is the first one – you should prepare yourself in the days before starting the program reducing your meals and having liquid options instead like I did. Following days are definitely easier and I could have continued the program for other two days for sure. As I am working at the office, for me it was really easy to take the bottles with me and having them during the day, without the need to prepare shakes or to cook anything. 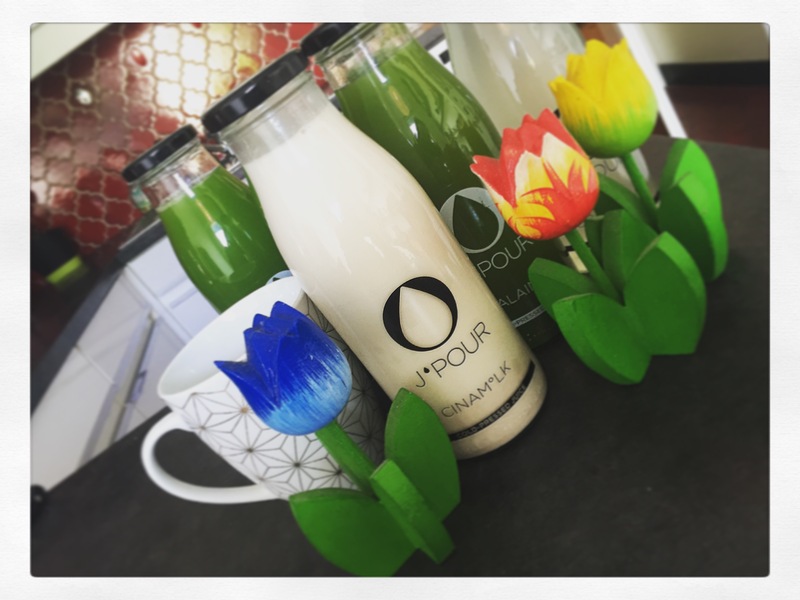 The glass bottles of the J°pour juices can be used again – I just put them in the dishwasher and they are ready to take away your homemade smoothies – or to be used for flowers 🙂 No silly plastic around. Juices were pretty good to taste and totally vegan. My favourite one was the Cinamilk, the one for the evening. I could have it each and every night! It is delicious! If I have to find a negative point in the program, I am used to go to the gym each and every morning at 6.30 am, having 1 hour cardio followed by 20 minutes sauna and during the program I was really not feeling like doing it – I started back straight at the end of the three days. But if you check on J°pour website, you will definitely find other cleansing program suggested for people who want to maintain a very active lifestyle. I have to say, except the gym, I did everything I was used to do – work, shopping, driving, errands, homeworks, and I was feeling refreshed and energetic.